This novel was shortlisted for the 2014 Man Booker Prize. It is an impressive novel set in the period 1966-70 in Bengal, India with 2012 epilogue. The Ghoshes are a middle class family of paper mill owners. Three generations live in one house, the social hierarchy of the family manifesting itself in the physical structure of the house. Prafullanath and his wife Charbulala are the grandparents and are top of the tree, Adinath and Sandhya, Pritonath and Purima, Rholanath and Jayanti, and all their children all live in the house along with unmarried middle sister Chhaya and Purba, widow of their youngest son, Somnath. Purba and her children are at the bottom of the pecking order within the household are survive on hand-me-downs of clothing and food,being treated more like servants. The family’s story is one of all the usual family things - births, deaths, marriages, illness, love, rivalry, envy, decisions, arguments etc – all give adequate opportunity for Mukherjee to paint a detailed picture of its complex set of relationships and characters, their stories, feelings and circumstances and he does this really very well. The book has a very helpful Glossary and Note explaining Indian conventions for names and relationships. Interspersed between the chapters of the family saga runt he chapters which are letters written by Adinath’s eldest son Supratik who has left home, and unbeknown to his family has become a Naxalite, joining the CPIM (Marxist Communist Party of India). Mukherjee works his family saga in two threads – the story of Supratik and the story of the other members of the family – knotting them together in its devastating concluding few chapters. When I began reading this novel,nothing prepared me for the opening prologue with its story of Nitai Das, not even my own knowledge of Indian history nor having lived in the adjacent state of Orissa for 2 years. Do not be put off by the emotional power of its subject matter. It sets an uncomfortable yet vital backdrop for the rest of the book and for understanding the route Supratik chooses. 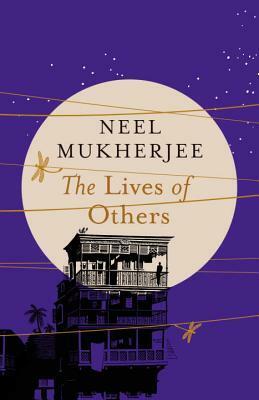 To Mukherjee’s credit his writing in both halves of the story is exquisite, he clearly understands both worlds and conveys to the reader what happens when the worlds of the well heeled business class, the landlord class, and the day labourers collide. His discussion of the reasons for the Naxalite insurgency – land theft, worker exploitation, famine - which continue to this day in the eastern states of Chhattisgarh, Orissa, Bihar and Bengal, are well voiced by the author, as is the precarious predicament of those who are only just slightly better off then the landless poor when economic failure or political upheaval shifts their delicate balance between comfort and destitution. Not everyone in the family gets a happy ending and the story is all the better for this realism. It is by far the best book I have read for a long time. ashramblings verdict 5* a masterful family saga. A must read for anyone interested in India.